A. Hugh Trask – Peterson Mortuary, Inc.
A. Hugh Trask, 93, of Glenwood, entered heaven on June 23, 2018, at Fox Run Assisted Living in Council Bluffs. He was born May 22, 1925, in Independence, to Archibald Hugh and Alice Marie Trask. Hugh was raised in Black River Falls, Wis. His dad and his uncle, Judd, ran Trask Farms, a large turkey operation. Hugh grew up helping at the turkey farm learning business skills from his dad and hands-on skills from his uncle – skills that he would use throughout his life. He loved the outdoors and was proud to have attained the highest achievement in the Boy Scouts, the rank of Eagle Scout. After high school, Hugh enlisted in the United States Navy. 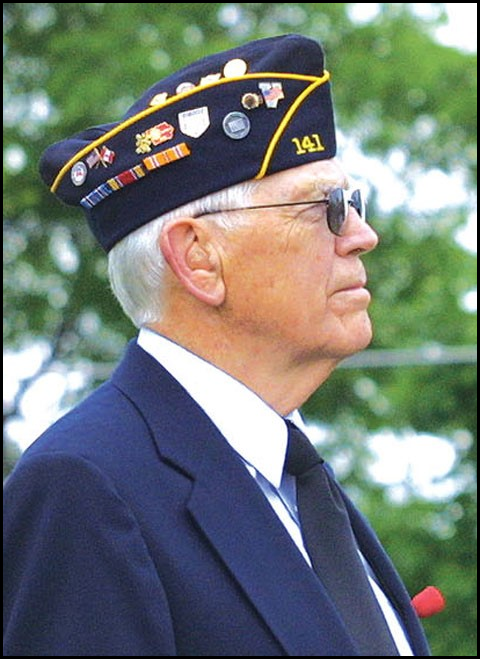 Hugh proudly served his country during WWII and was honorably discharged after the war. While serving his country, he was stationed at Bremerton, Wash., where he met “a humdinger of a gal”, Dorothy “Dotty” Samuelson at a U.S.O. dance. The couple were united in marriage on June 14, 1947, in Tacoma, Wash. After they married, they moved to Iowa City where Hugh received his degree in geology from the University of Iowa. After graduation, he accepted a job with a geological firm in Texas that looked for oil. It’s in Texas where their daughter, Diane Louise, was born. The search for oil then took them to New Mexico where their son, Jeffrey Hugh, was born. With two small children, the young parents decided to return home to Black River Falls to be closer to family. In the fall of 1959, the family moved to Glenwood. It was during this time that Hugh and Dotty opened the Coast to Coast Hardware store on the town square. Hugh and Dotty were familiar and friendly faces to the Glenwood community for 28 years as they ran the hardware store. In 1987, Hugh and Dotty retired and enjoyed life to the fullest by spending time in their garden, playing golf, birdwatching, volunteering and traveling the country with their many friends. After nearly 61 years of marriage, Dotty passed away on May 22, 2008. In 2010, Hugh met Sophie Roberts while dancing at an American Legion. Hugh and Sophie were married on June 30, 2011. As a couple, they enjoyed traveling, dancing and spending time together. He is survived by wife, Sophie Roberts-Trask of Council Bluffs; daughter, Diane Johnson of Fort Collins, Colo.; son, Jeff Trask and wife Dixie Trask of Tabor; Sophie’s children, Michele Stephens and husband David Stephens of Franklin, Tenn.; Paula Roberts Cogut of Anna, Texas; Stuart Roberts and wife Natalie Roberts of Omaha; Raymond Roberts and wife Cheryl Roberts of Tucson, Ariz.; Tim Roberts and wife Teresa Roberts of Shenandoah; granddaughters, Jennifer Johnson and husband Chris Leck of Fort Collins, Colo.; Amberly Schechinger and husband Paul Schechinger of Council Bluffs; Melissa Loghry and husband Kenny Loghry of Glenwood; Michelle Thompson and husband Sean Thompson of Des Moines; seven great-grandchildren and many friends. Prayers and hugs to you Sophie and the rest of the family. Hugh was truly a really nice person. Oh how I love Hugh! He will always be my treasured friend. He was a kind and gentle soul and exemplified the love of Jesus. Lots of good memories to cherish and I know we will spend eternity dancing on streets of gold! 2 Corinthians 5:8 ….pleased to be absent from the body and to be present with the Lord. Amberly, Jeff and Diane~may the love of God surround you. We are so sorry about Hugh’s passing but rejoice in who he was! Always so warm and encouraging, Hugh was like a father to us and we enjoyed being with him! Blessings to all friends and family who loved him! Gonna miss that guy. I got to know Hugh through Scouts with my dad and several years later enjoyed fishing trips for trout in Branson with him. He was one heckuva guy. RIP Hugh. Prayers to the whole family. So sorry to hear about Hugh’s passing. My first job was working for Hugh and Dottie at Coast-to-Coast and he instilled a work ethic that will never be forgotten. I always looked up to him and will continue to do so even though he’s found the “ultimate hardware store in the sky”. Diane and Jeff, so very sorry for the loss of your Dad. He was a good man and an icon to the community. He will be missed..
I’m thinking about you today,Michele. May the Lord bring you and your family great comfort. Much love to you. Diane, I am so sorry for your loss. Your love for your Dad, and Mom, knew no end. Hugh and Dotty were great people and role models. You were blessed to have them as parents. Hugh was an awesome mentor and I enjoyed his sense of humor and friendship, even as he taught me many business skills when I worked for him at the Coast-to-Coast store in high school. I always think of Hugh and Doty whenever I visit family in Glenwood and make a trip around the Square. 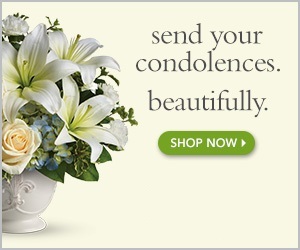 Jeff, Diane and family have my deepest sympathy and condolences. Their mother and father touched many lives and I’m blessed to be among the many grateful.